Stroke is a time bomb and early detection is key to healthy living. 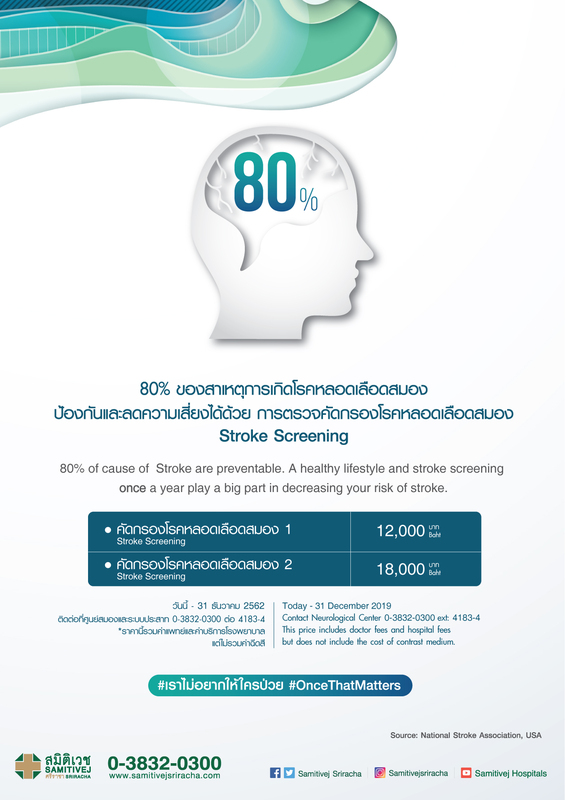 80% os the causaes of stroke is preventable. 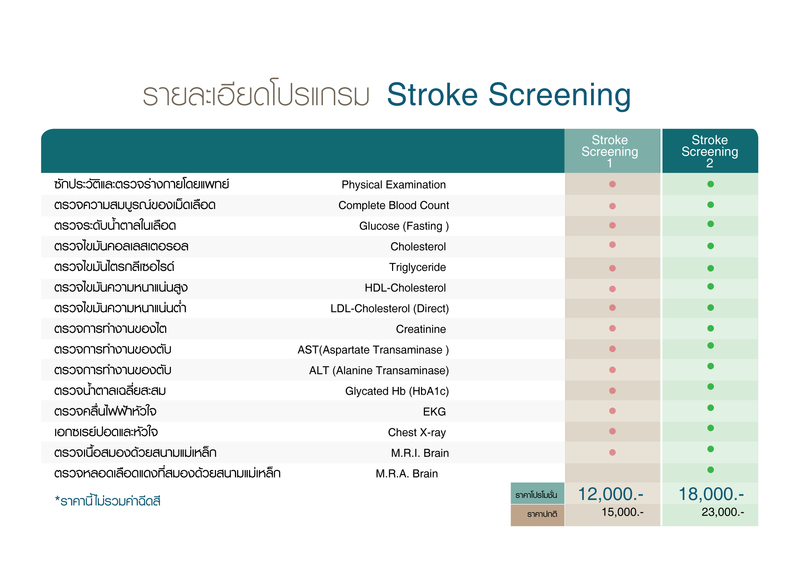 A healthy lifestyle and yearly stroke screening can play a big part in decreasing your risk of stroke. The promotion is valid from today until 31 December 2019. For more information, call, 038 320 300 or 033 030 100 ext. 4183-4 Neurology Center. The price includes doctor fees and hospital fees except medical contrast medium.